Here’s a couple poster of Kim Jae-Joong (‘JYJ’) and Uee for upcoming KBS2 drama series “Manhole.” The drama series revolves around a man who uses a manhole to travel through time. 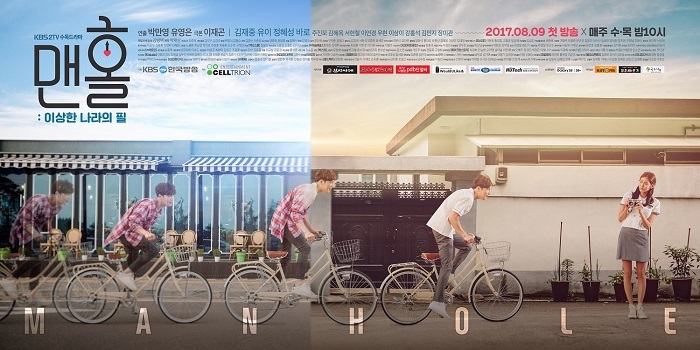 The couple poster shows Bong Pil (Kim Jae-Joong) riding his bicycle towards Kang Soo-Jin (Uee) from the present days to the past. He has held a secret crush on her for the past 28 years. “Manhole” first airs August 9, 2017 in South Korea.